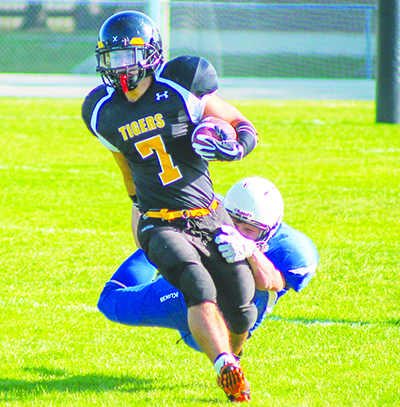 Taine Middleton of the NACI Tigers, breaks away from a Souris tackler, in NACI’s home opener on Friday, Sept. 7. The Neepawa Area Collegiate Institute (NACI) Tigers have hit the ground running, both literally and figuratively to start the Rural Manitoba Football League season. 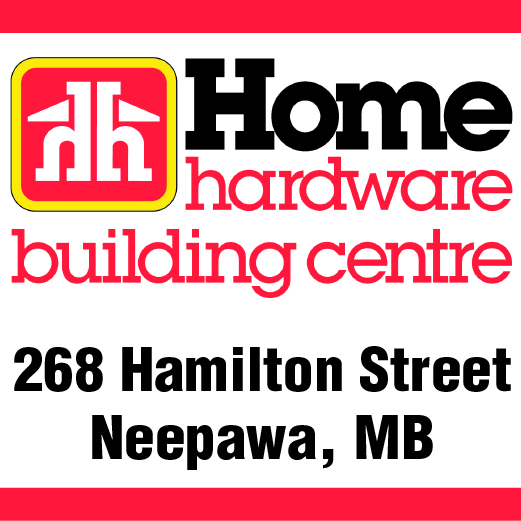 It’ll be a celebration that’s been three decades in the making for the Neepawa Natives. On Saturday Sept. 22, the Junior “A” club will be kicking off their MJHL regular season home opener in style, with a parade and tailgate party. The exhibition schedule is nearly finished for the Neepawa Natives. NGCC general manager and CPGA golf pro Landon Cameron (on right) presents the Rosebowl Championship trophy to Kenny Keeler of the Portage la Prairie Golf and Country Club. 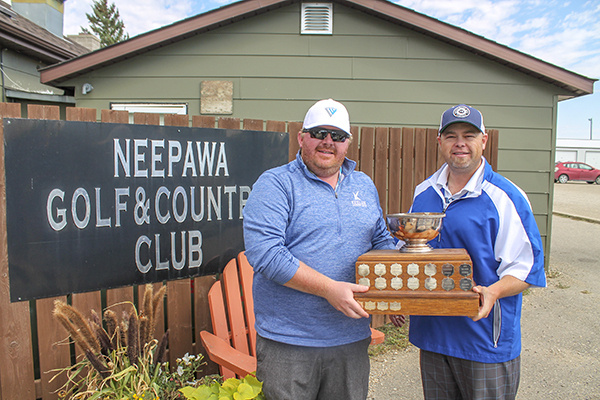 Kenny Keeler of the Portage la Prairie has won the 2018 edition of the Neepawa Golf and Country Club’s Rosebowl tournament. Keeler was able to hold off the strong challenge of Brad Pardy in the final day of the event on Monday, Sept. 3 to claim the championship flight of the matchplay event. This was Keeler’s second time competing in the Rosebowl and first time winning it all. Junior “A” Hockey’s premier event will return to Manitoba in 2020.